Ping Technologies is a web development and software development offering services and solutions to the global market. We help your business to get promoted with the help of our aesthetic, functional and usable solutions. Our professionals can guarantee a perfect place for your business through customized business solution and web development. We provide our clients with a perfect solution with a blend of functionality and creativity. We can guarantee a perfect place for your online presence through our services that can assure you with best and quality web services. Our applications are designed and developed to meet your requirements and also to enhancement the system that exists already with advanced features that will benefit you. From beginners to experienced users VisionProPOS makes your business run smooth and easy. With over 15+ Modules Web based OpmtimusCRM helps the sales process. Sales Force Automation includes the key activities needed by your sales team including Lead Management, Opportunity Management, Account & Contact Management, Sales Pipeline Management, Sales Forecasting, Sales Analytics, and others. Web based OptimusCRM provides Campaign Management, E-mail Marketing, Online Lead Forms, Product Management specifically useful for your organization-wide marketing requirements. Optimus CRM provides enterprise quality Customer Support & Service features, such as Ticket Management, Knowledge Management, Customer Self Service Portal, Reports, and Support Statistics specifically useful for your organization's customer support force. OptimsCRM provides enterprise quality Customer Support & Service features, such as Ticket Management, Knowledge Management, Customer Self Service Portal, Reports, and Support Statistics specifically useful for your organization's customer support force. You can also use other customer support-related modules, such as Products, Activity Management, Calendar, Contact Management, and so on. 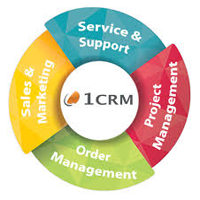 OptimusCRM extends beyond traditional CRM to provide a complete sales cycle management by integrating Inventory Management functions, such as Products, Price Books, Vendors, Sales Quotes, Purchase Orders, Sales Orders, and Invoices. OptimusCRM provides seamless integration between pre-sales and post-sales activities in a single application. 1CRM features CRM solutions for every budget. Work more easily with co-workers, clients, and vendors in a Intranet. Share documents, coordinate calendars, hold meetings, manage tasks, follow discussions, make announcements and run virtual office on the web. Can control access to sensitive files while allowing to view public ones, take polls, and manage expense reports. 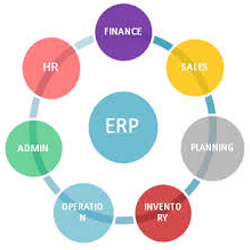 ERP is short for enterprise resource planning. Enterprise resource planning (ERP) is business process management software that allows an organization to use a system of integrated applications to manage the business and automate many back office functions related to technology, services and human resources. ERP software integrates all facets of an operation, including product planning, development, manufacturing, sales and marketing. ERP systems track business resources—cash, raw materials, production capacity—and the status of business commitments: orders, purchase orders, and payroll. Enterprise system software is a multi-billion dollar industry that produces components that support a variety of business functions. The ERP system is considered a vital organizational tool because it integrates varied organizational systems and facilitates error-free transactions and production.